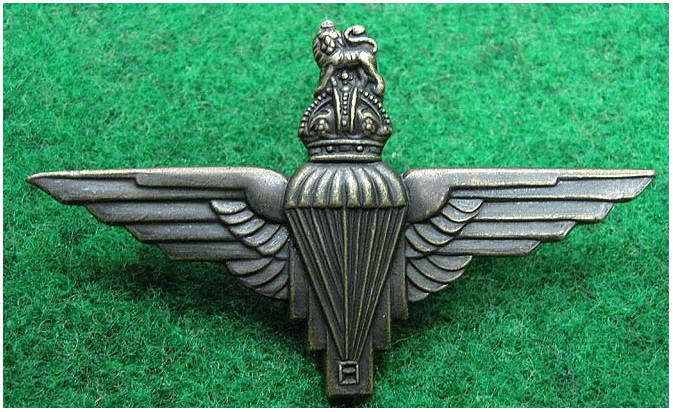 The British 6th Airborne Division is established in May 1943, under the command of Major-General R.N. ‘Windy’ Gale. 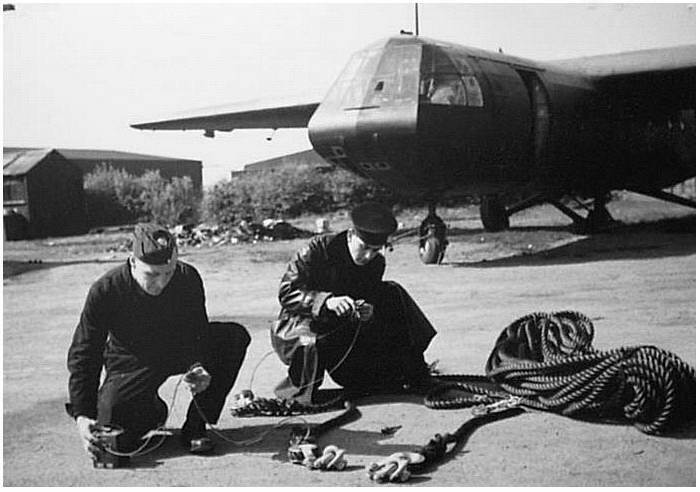 It consists of the 3rd Parachute Brigade (the British use ‘brigade’ instead of the American term, ‘regiment’), the 5th Parachute Brigade and the Air-landing Brigade. The 22nd Independent Parachute Company (pathfinders), 6th Airborne Armoured Recc. Regiment (light tanks), the 53rd Air-landing Light Regiment Royal Artillery (75mm cannons), three anti-tank and anti-aircraft battery’s and Royal Engineers are also added to this division. 'What time is it?’ The watches are synchronised. While the American airborne divisions cover the western sector, the peninsula Cotentin, the British 6th Airborne Division is designated to take the eastern sector and protect the flanks in that area of Normandy. The first paratroopers to land, east of the river Orne, are ordered to clear secure the LZ for the gliders. 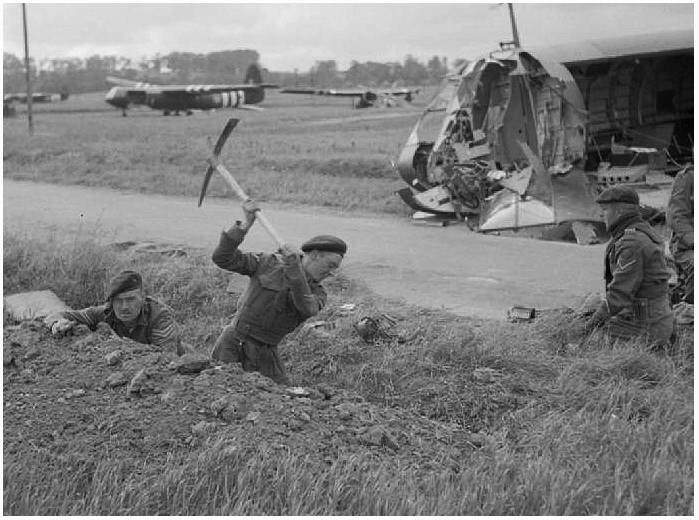 They have to clear the fields from obstacles like the, so called, ‘Rommels Asparagus’, long stakes that are put up by the Germans to hinder the gliders. The task is split between the 3rd en 5th Parachute Brigade. 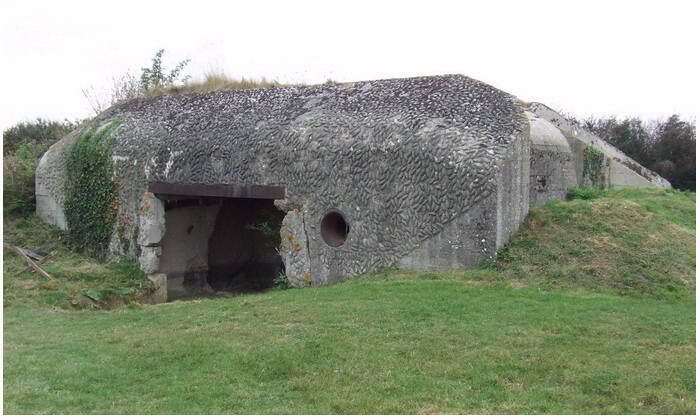 Capture the Merville Battery one and a half hour before the main force arrives. 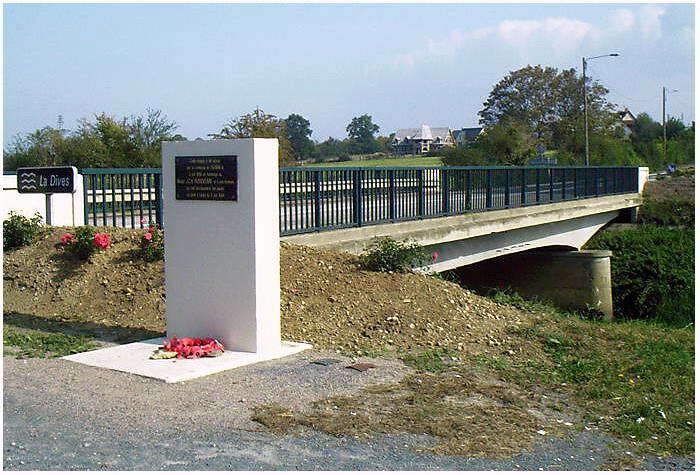 Destroy a couple of bridges near Varaville, Robehomme, Bures and Troarn over the river Dives, to prevent that the Germans can bring in reinforcements from the east. 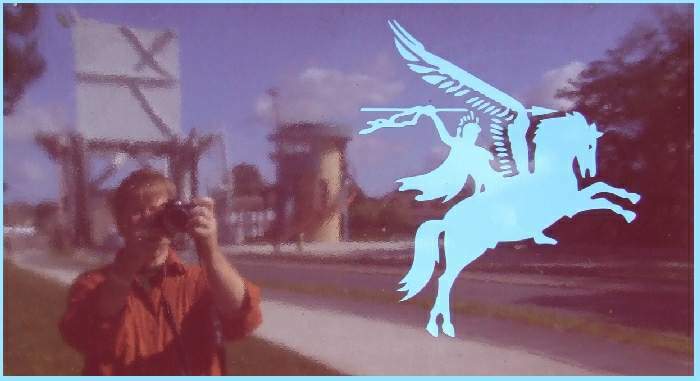 Capture the bridges over the river Orne and the Caen canal. This commando unit will be flown in by 6 Horsa gliders. 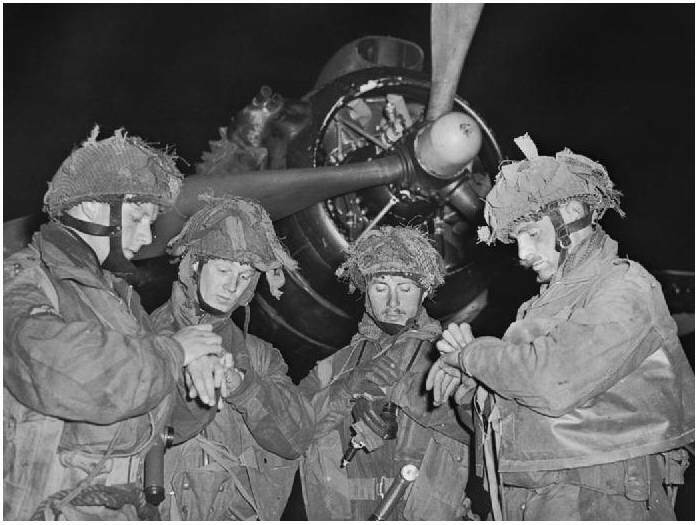 The first group that lands in the night of 5 and 6 June are Pathfinders 22nd Independent Parachute Company. There task is to mark the DZ and LZ for the main force. 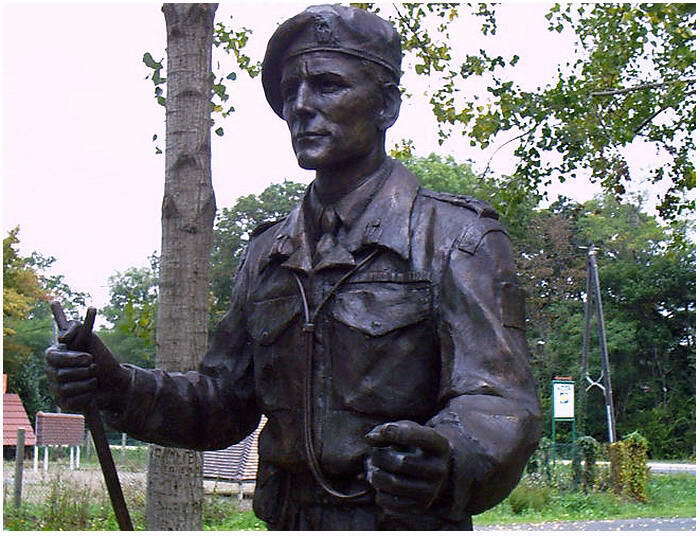 The first British allied liberator to land that night is Lieutenant de Latour. On 20 June this officer, then Captain, is killed. His grave is located at the CWGC (Commonwealth War Grave Cemetery) at Ranville. At the same time as the Pathfinders land, six Horsa gliders, from the Oxs and Bucks, fly near their LZ, between the area of the river Orne and the Caen canal. 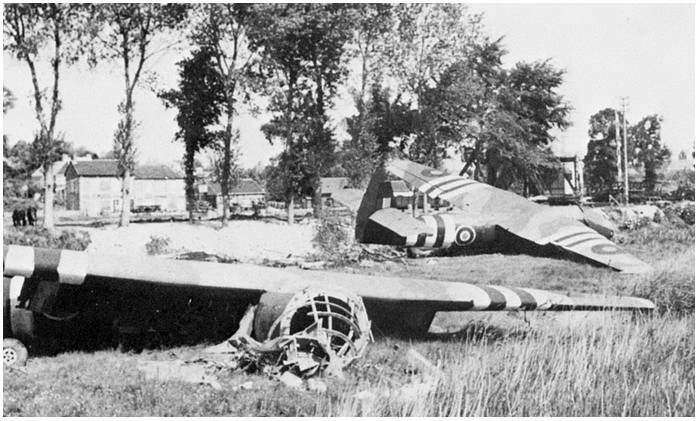 During the landing, Glider 3, flown by Staff Sergeant Barkway, breaks and the first casualty of D-Day is recorded when Lance-Corporal Fred Greenhalgh drowns in the accident. The six platoons in the first Horsa gliders that landed at the Orne River and the Caen Canal, were crucial. 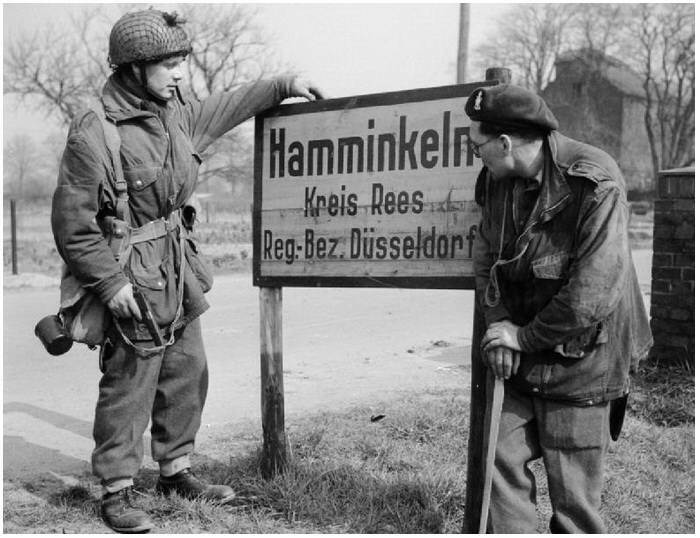 If this operation had failed, and the Germans had managed to destroy the small group of para’s of D Company, then the whole drop of the 6th Airborne Division would have been in jeopardy. This could have turned into the same disaster as the 1st Airborne Division would have three months later at Oosterbeek during Operation Market-Garden. Just a small portion of this division could escape before it was completely destroyed. Not only at the bridges that cross the Orne River and the Caen Canal, but also a commando operation by para’s was at the Battery of Merville. Here was a task for 9th Para Battalion do take this complex. Only, this was planned to take place on a later timescale. Some 600 men were airborne to take the battery at Merville. But during the jump, around 00.20 hoursm most men were scattered for miles. With only 150 men, Lieutenant-Colonel Otway manages to overrun the battery. Seventy officers and lower ranks got killed or were wounded. They only took 22 Germans prison, the other defenders were killed. When the first gliders arrived with the main force, it turned out that some beacons were wrongly placed. 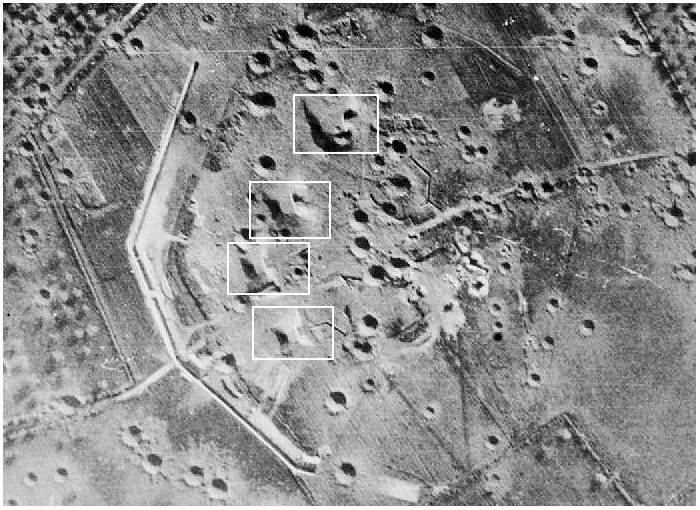 Gliders that should have landed in DZ ‘K’, south of Escoville, landed in DZ ‘N’, north of Ranville. 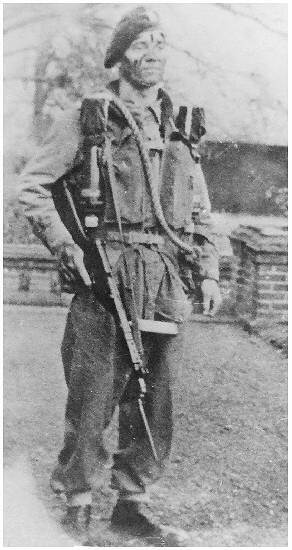 The 8th Parachute Battalion is divided in two. Major J.C.A. 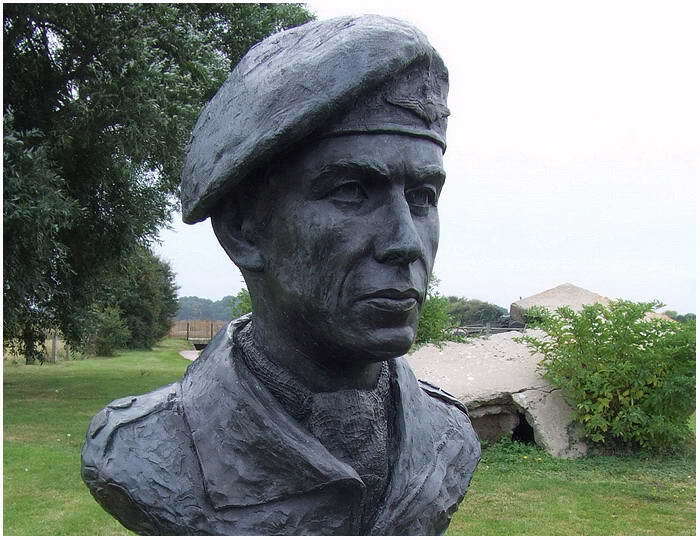 Roseveare, Royal Egineers, commander of the 3rd Para Sqn RE, on DZ ’N’ discovers the mistake and collects about forty engineers and thirty paratroopers. With six small lorries and a Jeep they head for the bridges of Bures and Troarn. On the crossing D37 with the D37B they leave the paratroopers behind to put up a defence. 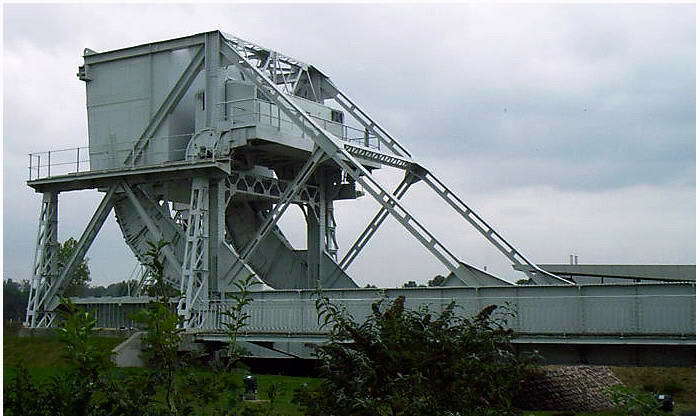 A couple of engineers are sent to the bridges of Bures to destroy them (both are blown at 09.00 hours in the morning of the 6th). Major Rosevaere continues in the Jeep with another officer and seven engineers the D37 to Troarn. Behind the Jeep hangs a little trailer filled with explosives. At the (old) crossing with N875 the Jeep runs into a roadblock and gets entangled n the barbed wire. A German guard fires a shot but than makes a run for it. After 20 minutes the men manage to on untangle their Jeep from the wire. On the N175 they shoot a German soldier from his bike. When the small party drives into Troarn,…‘the fun started’ say’s Roseveare. They seem to be fired upon from every window and door. The engineers fire in return, one man from the trailer uses a Bren machinegun to hose the streets. On the N175 to Samson they find the bridge across the river Dives. They place the explosives and five minutes later the blast creates a hole of 20 feet in the bridge, it is 05.00 hours. The men ditch the Jeep and they head on foot for Mesnil. Here they arrive at 13.00 hours. At the end of the 6th of June, 4.800 paratroopers are brought in. Due to the wrongly placed beacons and the bad weather only 3000 men reach their objectives. The losses run high. From the 196 men of the Glider Pilot Regiment alone, 71 men perish that day. But the men retain their thin line of defence. When at last the breakthrough in August starts around Caen and the Second Army into Normandy flows, the 6th Airborne Division goes from the defensive in the offensive. 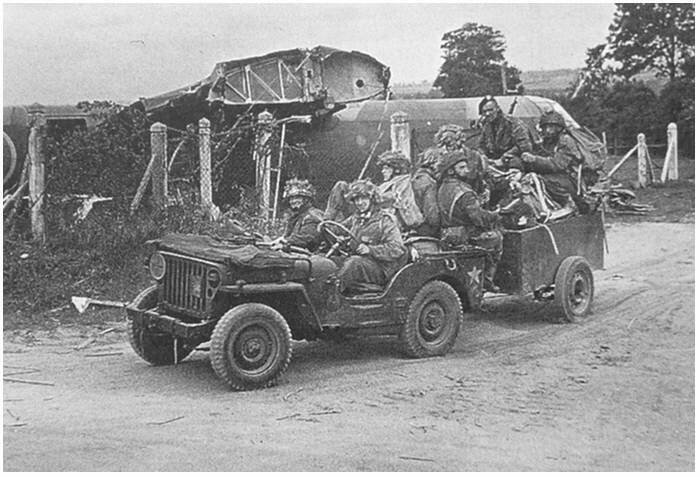 Early September 1944, the 6th Airborne is pulled back and brought back to England. They lost 4457 men during the constant battle since their landing in June. During ‘Operation Varsity’, spring 1945, the 6th Airborne Division jumps together with the American 17th Airborne Division across the river Rhine to establish a bridgehead for the attacking allied land-forces. The 3rd Parachute Brigade fights on the left flank and secures the area against German counter attacks. To go to the 82nd Airborne Division.